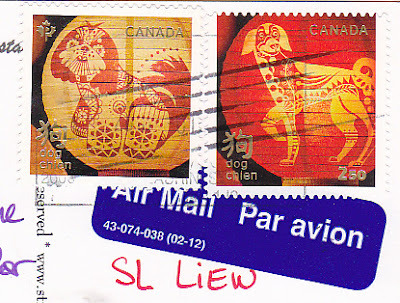 Canada Post prepaid postcard of Year of Dog. 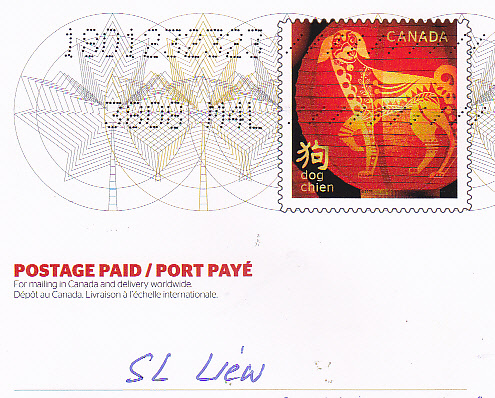 Thanks to Natasha of Canada. 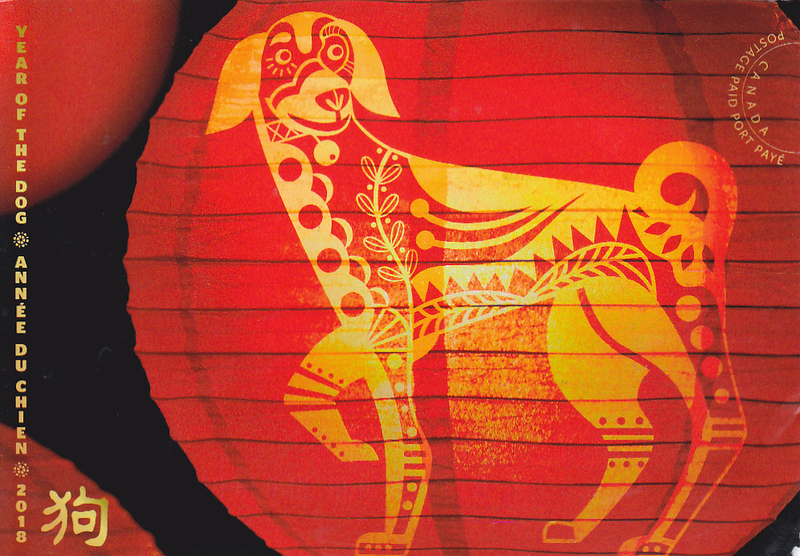 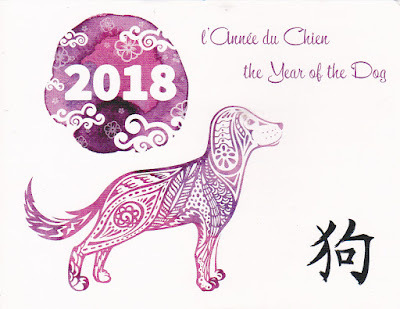 Nice postcard of Year of Dog with both Canada Year of Dog stamps used. Thanks to Josee of Canada.